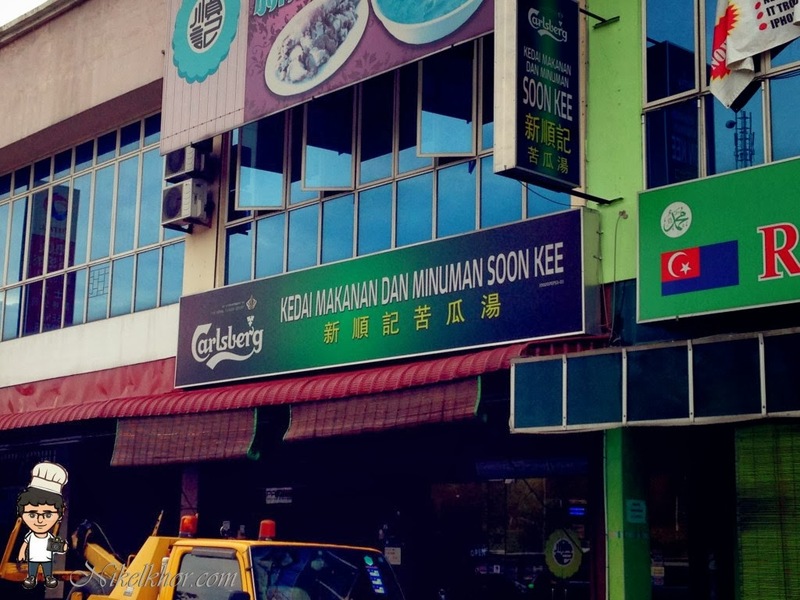 Senai, being one of the new villages within the district of Kulai, is full with Hakka people. This Hakka's town is famous with Hakka ground tea, yong tau foo and bitter gourd soup. There are few famous restaurant in Senai selling bitter gourd soup and Soon Kee which is situated within a row of shop near to the main road is one of them. Every weekend, you will see the big crowd in Soon Kee during dinner hours. There are few reasons that Soon Kee is famous. First, the price of the dishes is extremely reasonable to all people from different levels. Second, other than bitter gourd soup, Soon Kee also offers a wide variety of home-cooked dishes, just to name few, including sweet sour pork, dried-chilies chicken, minced meat tau foo, hakka deep-fried pork and various vegetables. 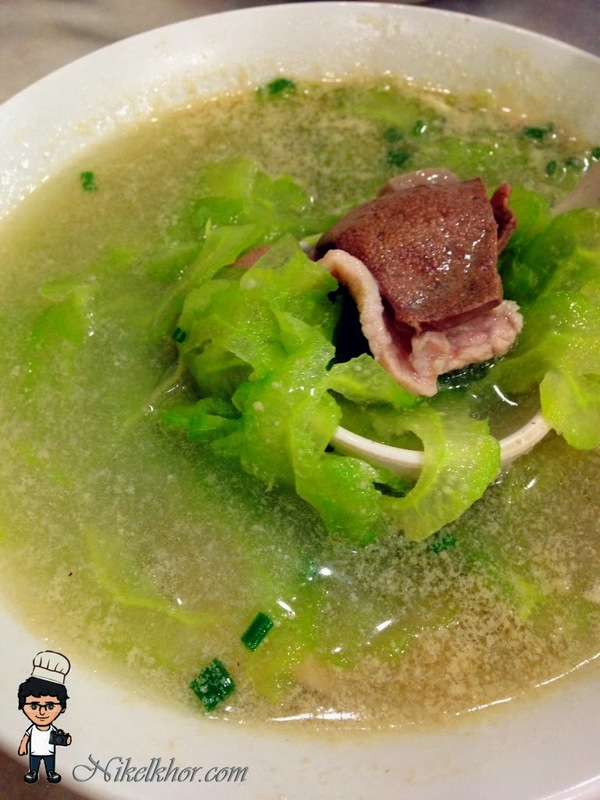 The bitter gourd soup, being the signature dish of Soon Kee, is one of the must order. The soup base is made from the pork bone broth. The bitter gourd is cut into very thin slices, slightly boiled in the broth with pork slices and pork intestines (which is optional according to customer's preference). 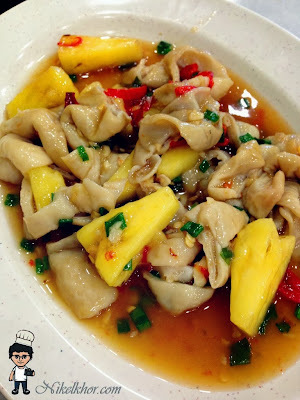 Chinese always says that bitter gourd is good and suitable to be eaten during summer days to reduce heat and to release toxic in human body. Bitter gourd soup is only at RM3.50 per portion. 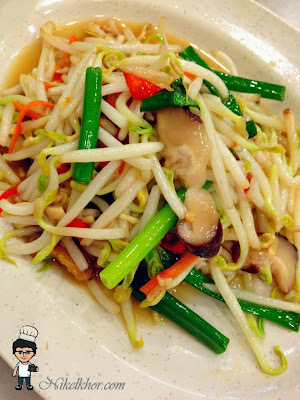 We have also ordered this superb ordinary dish- bean sprout with salted fish. Other than salted fish, they also put in fresh shredded carrot, Chinese mushroom and leeks, rendering the dish looks colourful and also more interesting. I always like this dish as it is really appetizing, with this, I can easily clear one big bowl of rice. 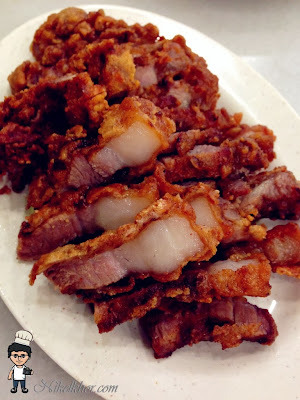 Last but not least, the famous fried pork belly. 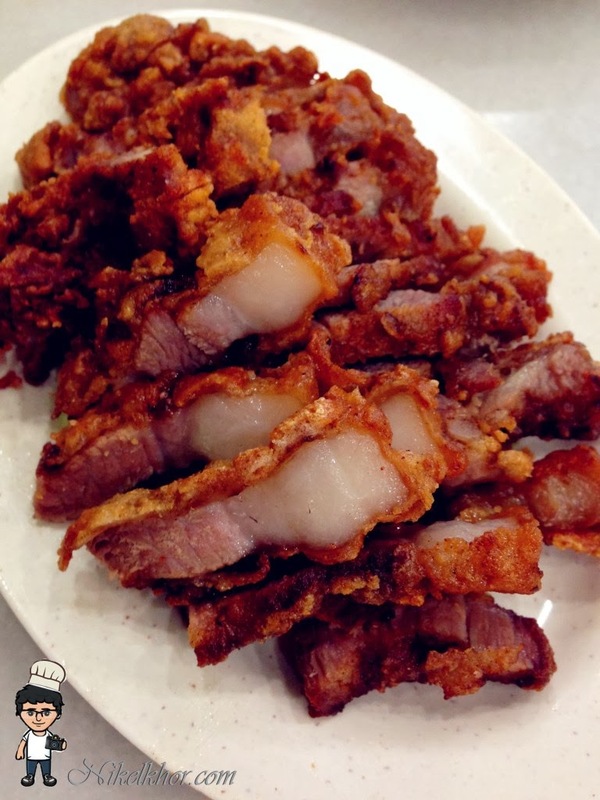 The interesting part is that the pork belly is marinated with the fermented beancurd and only cut into slices after deep-frying. It is very flavourful and also crispy. Now you know why this restaurant is always crowded? If the housewife of your home decides to have a break during weekends, here is a good destination to settle a family's dinner as a table of dishes for whole family may cost less than RM50.